We have joined a newspaper campaign to save The Electric Palace in Harwich, a building in desperate need of restoration and renovation. Shaun Soanes, who is creating designs for the refurbishment, urges people to get behind a fundraising drive to support the next stage of the project. In the pipeline is a £700,000 project for the grade two start listed Electric Palace in King’s Quay, Harwich, hinging on a heritage lottery fund. But the building is also trying to raise £60,000 itself towards the works needed to take place. If the bid and the campaign – run by the Harwich and Manningtree Standard are successful, the building aged over 100 years old will have new internal decoration, a renovated ceiling, new seating and a refurbishment of the exterior. We have been tasked with planning the work ahead. We have been part of various works over the last 15 years including repairing rusted ironworks under the flooring, so we have a long relationship with the building. We now need to secure the original plaster on the building which is past its average lifespan. This requirement is urgent, especially in light of the disaster at the Apollo Theatre in London when the ceiling collapsed in 2013, injuring 88 people. At the Electric Palace there isn’t any space above the ceiling so we have to take off the roof and reinforce it by putting a laminate at the back of it. We are also looking into improving the seating area and stage as well as lighting, ensuring that whatever is done it stylistically appropriate. The trust members are fantastic custodians of the building and it’s really great that The Standard is backing a funding campaign and bring in their local community to help secure the future of this historic landmark. 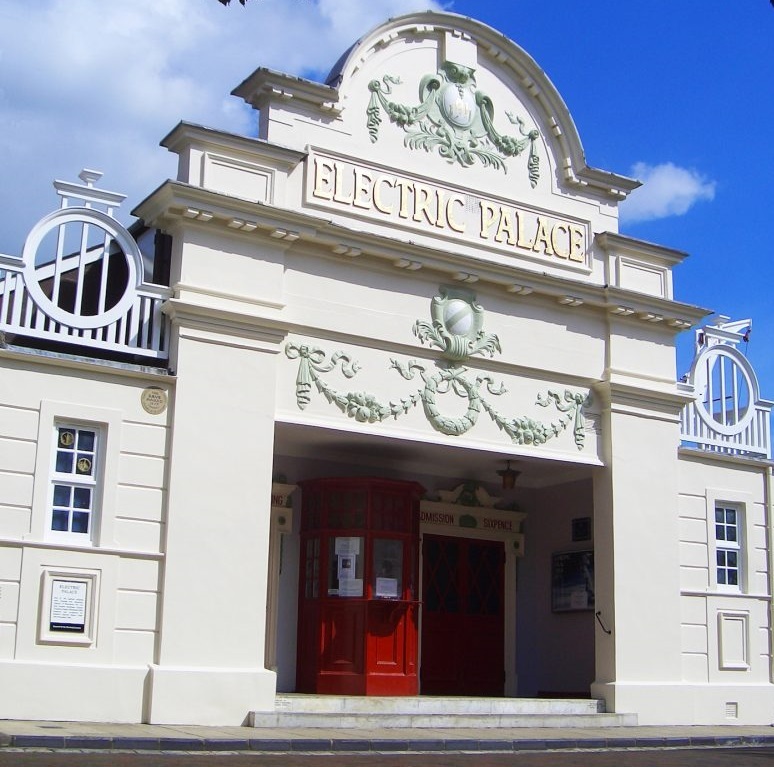 Electric Palace is one of the UK’s oldest purpose-built cinemas, boasting an original projection room, a silent screen, ornamental frontage and an open plan entrance lobby complete with paybox, a small screen and dressing rooms. It was built at a cost of £1,500 in just 18 weeks, opening in 1911 with a screening of the black and white film Battle of Trafalgar and The Death of Nelson. Throughout the 1920s and 1930s it enjoyed success but in 1956 it closed and fell into disrepair, becoming derelict until 1972. In this year it was rediscovered by Gordon Miller and the students of Kingston Polytechnic in a town study. The council had planned to demolish all the buildings in the area at the time to build a lorry park instead. Detailed survey drawings and original pictures from Mr Miller show the cinema in a neglected state, with peeling paint, cracked facades and gaping holes in the roof. The Electric Palace Trust was formed in 1975 to restore the cinema, and it reopened in 1981. This new work will be the first time the palace has ever been redecorated. Work can begin in Spring next year if funding is approved. To donate to the appeal for funds, use sort code 40-19-45 and account number 81379224, using HEPT Roof Appeal as the reference. Read more about the newspaper campaign here. 7 steps to building a home for £1,000/m² What does the election result mean for architecture?